Discussion in 'PatsFans.com - Patriots Fan Forum' started by ashley1992, Jan 13, 2019. Going to start this thread a little early because it's the playoffs. Can't wait for this game, if you can't get up for a playoff game, then I guess you can't get up for any game. I hope everyone is as ready as I am. Let's make it 9 straight home playoff wins today!!! Please keep the trolling out of this thread today, let everyone enjoy it...should be a good one. After dealing with an MCL sprain for several weeks late during the regular season, #Patriots QB Tom Brady is as healthy as he’s been going into today’s game. Lots of money on the Bolts today. They’ll hate us even more when we win. We need a big effort from the Patsody group, Edelman, Gronk, Brady and BB. Lets see Gronk and a little Stephen Anderson. I think the backs have to win in the passing game for us to win this game. Id let Jackson blanket one of the Williams. Have Gilmore take on Allen all game. If Allen proves too much slide Mccourty on Allen as well. Hunter Henry could be the X factor for LA. He concerns me our backers and Chung cant stay with him. 3 hours to game time. Gonna make a run to H-mart for lunch and snacks. I've been consumed with anticipation for this game since Friday. Benn hard to sleep too. I got some of the butterflies worked off watching the games yesterday, though, and that was a good thing. Now? Ready for the game to start. I'm not worried about New England losing. I just want the game to start. I believe in my heart, after thinking about all the various factors that could come into play, that the Patriots will win, and likely quite handily. Then it's on to Kansas City. The Patriots beat KC already, and I believe they can win it all this year, despite all those rooting against New England. So I'm in a good place. I believe the Patriots are as well, and I just want the game to start. If active, TE Stephen Anderson makes a big (potentially huge) play for us today. On the flip side, hopefully he won’t have to. The Pats can do this. It should be a good day for them. Everyone is saying this is the end, we're not the same. Death of the Dynasty. It's going to be a pleasure to see that talk put to an end on the field here in Foxborough on their way to Arrrowhead. I’ve never understood where the whole “Belichick never losses to a team the second time” myth ever came from. Obviously fitzy has never been to the artic, that's not really cold lol! 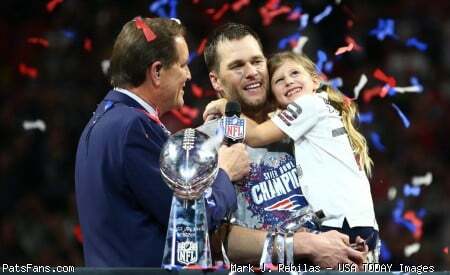 FROM ITALY GO PATS !!!!!!!!!!!!!!!!!!!!!!!!!!!!!!!!!!!!!!!!!! !